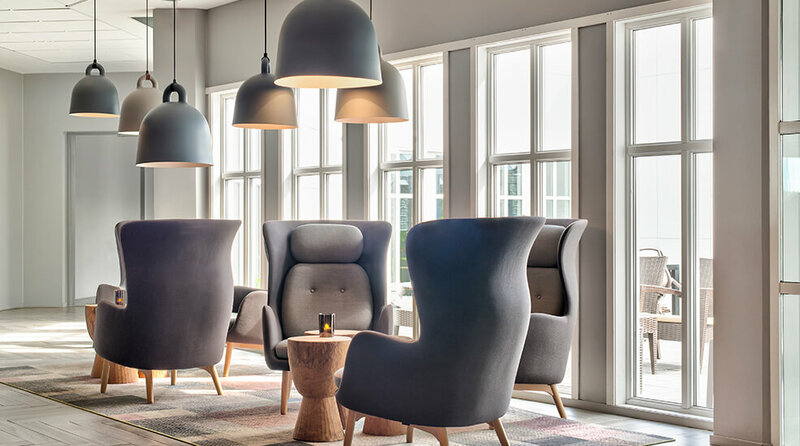 At the Quality Hotel Skjærgården, kids will create wonderful memories that they can treasure forever! We are proud to be a kids' hotel all year round. During weekends and school holidays, we make an extra effort and have kids' parties from dawn to dusk. Our house mouse, Piccolo, who lives in the attic, comes down to breakfast and dances and signs his own song which he is happy to teach the kids. Activity leaders are at the hotel at weekends and during the holidays, keeping kids busy with a wide variety of activities with a kids cinema, face painting, kids disco and much more! The hotel has Badeparken offering activities for both one or more days. Being outdoors is great when the weather permits and the area around the hotel offers many hiking paths and things to see and experience along the coast. The Geopark Geo Norvegica Park is both educational and exciting and in Langesund, you can enjoy sailing boats, ice cream and sweets during warm, sunny summer days. At Brokelandsheia, you'll find Den Lille Dyrehage animal pen perfect for families with kids. Here you can visit snakes, crocodiles and small monkeys. You can also play in playgrounds, walk along nature paths and enjoy scouting for meerkats in the meerkat desert. Bring along your own food or visit Djungelkaffet. Brokelandsheia is a short drive from the hotel. As we work in partnership with Den Lille Dyrehage, you get a discount there and at the Badeparken. Feel free to contact us for more information and questions by phone +47 35 97 81 00 or at qr.badeparken@choice.no.